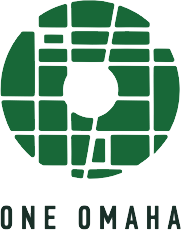 ONE Omaha, founded in 2015, is a public-private initiative dedicated to actively facilitating the development of neighborhoods in the City of Omaha through communication, education and advocacy. The key to strengthening Omaha neighborhoods is to foster neighborhood engagement. ONE Omaha aims to empower residents to create positive changes in their communities working side by side with public, private and nonprofit entities. Addressing the challenges we face as a city, collectively and collaboratively, neighborhood-by-neighborhood. Creating sustainable community change and achieving a vision for a better Omaha will be accomplished by increasing social capital and public participation. Let’s create a more vibrant community, from the bottom-up. Civic Nebraska is proud to be fiscal agent and close partner to ONE Omaha and its efforts to promote democracy on a neighborhood community level. Visit the ONE Omaha website for more information or contact Julie Smith, ONE Omaha program manager at julie.smith@oneomaha.org.